The Biomechanics Report is a detailed document that shows tabulated measures derived from the skeletal tracking data. It contains illustrations, graphs and measures for quantitative analysis about performance. 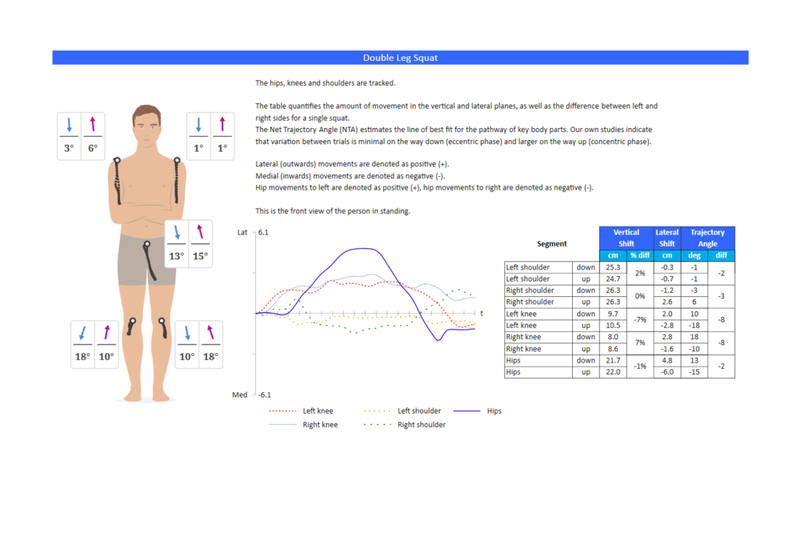 Objective biomechanics measures using 3D co-ordinates for multiple body parts are displayed in tables and graphs. 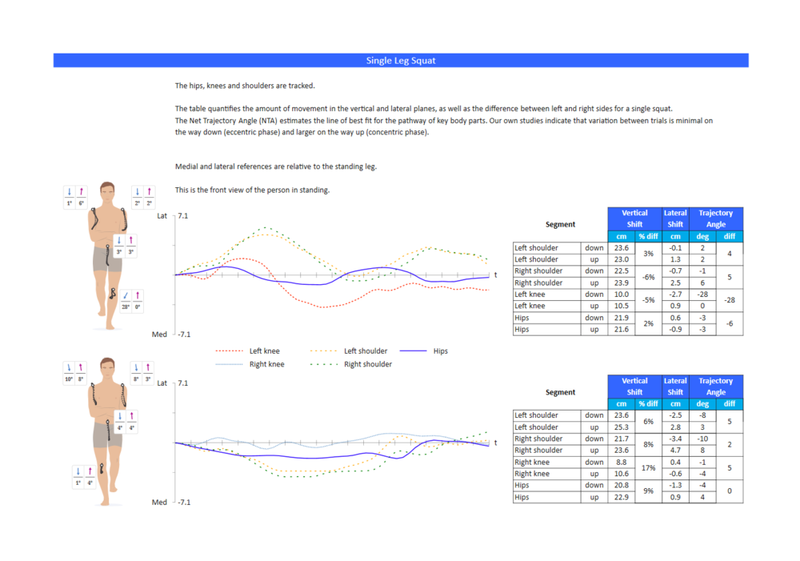 Kinematic data is useful for a detailed analysis of movement, balance and posture.